Gupta-owned Optimum Coal mine in Mpumalanga. A court application by a Gupta-linked company in Bermuda to secure R1 billion from the estate of the Optimum Coal Mine has been rubbished as just one more attempt to make the business rescue of various Gupta companies grind to a halt. Optimum’s business rescue practitioners are locked in a legal battle with Centaur Ventures, which is co-owned by a relative by marriage of the Gupta brothers. The relative concerned is Akash Garg Jahajgarhia, who married the Gupta brothers’ niece, Vega, at the infamous Sun City wedding in 2013 – an event that thrust the family into the national spotlight. Now the business rescue practitioners have also threatened to make a submission to the Zondo commission of inquiry into state capture detailing suspicious flows of money between Centaur in Bermuda, Optimum and, ultimately, the wider Gupta business empire in South Africa. Investigations have thus far suggested that the mine was pillaged, with money meant for its operations being siphoned off by Oakbay, the family’s overall holding company. City Press has previously reported on lawyers’ letters detailing these accusations around Optimum, which include “reckless and fraudulent trading”, and potentially also money laundering and conduct “expressedly criminalised by the taxation acts”. Optimum’s business rescuer Kurt Knoop filed his responding affidavit last week in which he makes these allegations against Centaur under oath. Centaur has launched an application for enormous amounts of information, which has the effect of stopping the provision of a massive lifeline to Optimum from new funders, who intend to eventually buy the mine. These investors are the state-owned African Exploration, Mining and Finance Corporation (AEMFC) in cooperation with local coal trading group Lurco, which is headed by Ellington Nxumalo and Aubrey Chauke. They intend to pump R1 billion into Optimum to restart operations and pay the mine’s workers. “The opportunity presented by AEMFC represents an opportunity that Optimum can ill afford to miss,” said Knoop. Creditors like Centaur will, however, see their own claims massively reduced in favour of this post-commencement finance when the business rescue ends. Post-commencement finance is funds provided to a business after business rescue commences. Centaur has, in its own court papers, dismissed its Gupta links and argued that it is simply a creditor insisting that its claim does not get prejudiced by the “abject incompetence” of the rescue practitioners. The case made against Centaur in court papers centres on massive prepayments for coal it made to Optimum when Optimum “simply did not have the ability to produce” that amount of coal – a fact Centaur would have known. These prepayments are now the basis for Centaur’s nearly R1 billion claim against Optimum. 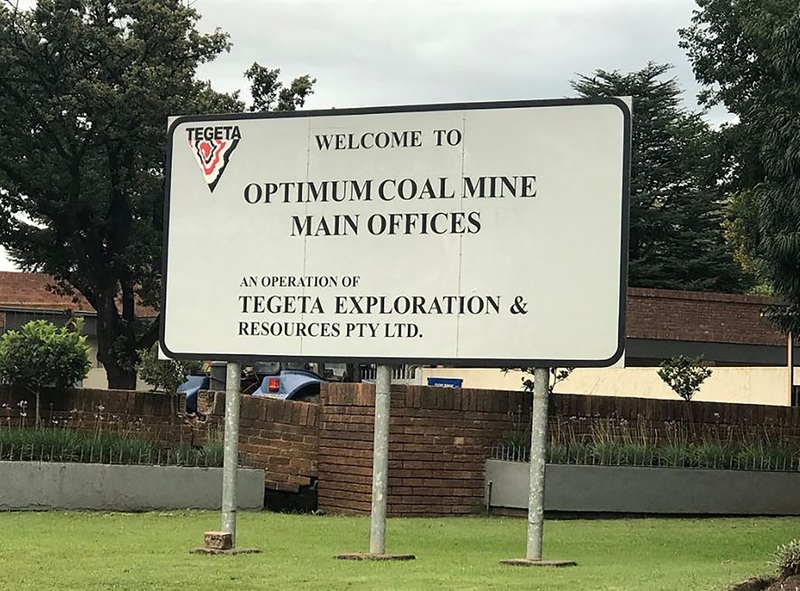 To a large extent, the money Centaur paid Optimum got transferred almost immediately to Tegeta, the mine’s parent company, and a major chunk was further transferred to Oakbay. This is “obviously suspicious”, said Knoop. Centaur was one of the major funders of Tegeta’s bid to buy Optimum in the first place, as detailed in the famous report on the Guptas by the Public Protector. Centaur paid Optimum R2 billion, of which R1.25 billion went to Tegeta and Oakbay. City Press analysis of the same bank records shows that R450 million flowed to Shiva Uranium through Tegeta between September 2016 and February 2018. Unlike Optimum, Shiva is indirectly 50%-owned by the Gupta brothers and the only mine they themselves had a majority stake in. Other parts of the bank statements show Mabengela Investments, mostly owned by former president Jacob Zuma’s son Duduzane, getting a monthly payment of R288 000. Confident Concepts, a company fully owned by the Gupta brothers, received a monthly payment of R399 000. Confident Concepts is a shell company that owns some of the family’s properties, including their house in Saxonwold, Johannesburg. The rescue practitioners of Optimum call Centaur’s case just one more of the 50-odd court applications by “the Gupta family and their acolytes” meant to frustrate the business rescue. While Centaur is based in Bermuda, the legal battle is being fought from Dubai. The rescue practitioners have now disputed that Centaur’s representatives even have any standing to act on the Bermuda-based company’s behalf because the deponent of Centaur’s affidavit in the case, Daniel James McGowan, fails to say where he resides or what he does – standard inclusions in the first few paragraphs of an affidavit. They even alleged his signature may have been forged and that the affidavit was deposed by someone “purporting to be McGowan”. Parts of the new affidavit from McGowan are actually “extracted [sometimes almost verbatim] from those of other parties in the previous cases”, he added. According to the stamp of a commissioner of oaths, the affidavit was apparently deposed in Dubai. The rescue practitioners also deny that this commissioner, Paul Baker, has the right to be a commissioner of oaths. Baker is a “legacy member” of the Financial Planning Institute of Southern Africa, however, the institute failed to explain what a “legacy member” is. Members of this financial planners’ body can be commissioners of oaths, but the institute did not respond to City Press when asked if this also applied to legacy members.